TOKYO/PARIS - What kind of financial blow has the widening scandal surrounding Carlos Ghosn delivered to Nissan Motor Co. and Renault SA? Investors are about to get a glimpse when closely watched earnings releases come out this week. The alliance partners have spent the last two months coping with a major reputational hit from Ghosn’s arrest, indictments by Tokyo prosecutors over alleged financial improprieties and an unflattering spotlight on both companies’ corporate governance controls. Le Figaro reported Monday that Renault Chairman Jean-Dominique Senard will visit Japan on Thursday for the first time since he took the post to replace Ghosn last month to hold talks with Nissan President Hiroto Saikawa. The talks are aimed at repairing the relationship of trust between Nissan and Renault, according to the French newspaper. Senard was appointed chairman of Renault following the resignation of Ghosn as chairman and chief executive officer of the French automaker. Senard and Saikawa held talks for the first time when an executive meeting among alliance partners Nissan, Renault and Mitsubishi Motors Corp. was held in Amsterdam on Jan. 31 and Feb. 1. Beyond the legal troubles, there’s the sluggish sales in China and the U.S., Britain’s potentially jarring exit from the European Union and huge investments in electric and autonomous vehicles hovering over the entire auto industry. Taken together, these negatives could leave the alliance partners falling behind competitors such as Volkswagen AG and Toyota Motor Corp. in the race to adapt to the changing terrain. The risks may be greater for Nissan since the lion’s share of allegations against Ghosn reflect his tenure there, and its business challenges are tougher than Renault’s. Nissan is struggling in China and the U.S., and it owns the largest automotive plant in Britain. The Yokohama-based company reports earnings Feb. 12, providing the first indications of its performance since Ghosn’s arrest in November. Renault’s earnings are due two days later, just after an internal probe found Ghosn may have improperly used a company sponsorship deal to help pay for his Marie Antoinette-themed wedding in Versailles. 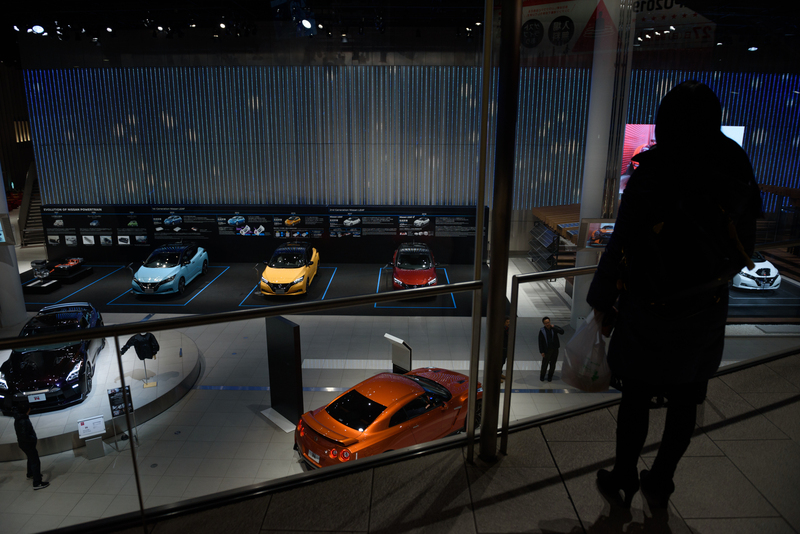 Nissan’s operating profit is forecast to fall 10 percent to ¥517.1 billion ($4.7 billion) in the fiscal year ending in March, the lowest in five years, according to analysts surveyed by Bloomberg. Renault will probably report an 8.8 percent decline in operating profit for last year to €3.47 billion ($3.93 billion). For years, Nissan’s earnings dwarfed Renault’s, making a significant contribution to the French carmaker’s bottom line. A bigger global footprint and sales 46 percent larger than Renault’s may be motivating Nissan’s Saikawa’s push to rebalance their alliance — which includes Mitsubishi Motors Corp. — to give his company more say in strategic decisions. Renault’s Senard pledged to work toward mending the partnership. He’s also expected to unveil his plans for Renault’s governance to the board next month, a person familiar with the matter said. Sales for Nissan’s Chinese joint venture dropped 4 percent in the October-December quarter as the world’s largest auto market saw its first slowdown in decades. Nissan relies heavily on China, which is estimated to become its largest market. The company plans to invest $9 billion and introduce 20 electrified models there within three years. Nissan has to fend off Honda Motor Co. and Toyota, which are accelerating their China pushes. That’s complicated by last month’s departure of Chief Performance Officer Jose Munoz, a Ghosn ally with responsibilities for China. Munoz hasn’t been replaced. Renault is a marginal player there, selling commercial vans under the Jinbei and Huasong brands. Nissan’s U.S. sales plunged 19 percent in January after slumping 6.2 percent all of last year. Saikawa is renouncing Ghosn’s strategy of juicing sales by lavishing incentives and instead wants to prioritize profitability. Nissan is cutting as many as 700 workers at a Mississippi factory because of slowing truck and van sales. It also refrained from setting a sales target for the current midterm plan. The carmaker is looking into the U.S. business as part of its internal probe, with particular focus on how business was awarded to dealers. Saikawa didn’t attend last month’s Detroit auto show, and his company didn’t introduce any major new production models. 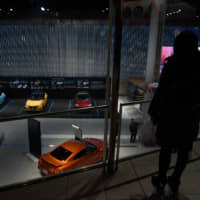 Renault is absent from the U.S.
Brexit is a bigger risk for Nissan than any other carmaker because it makes three of every 10 cars in the U.K. Nissan cited growing doubts about the U.K.’s split from the European Union in its decision to scrap plans to build the X-Trail SUV in the country. Instead, it will export them from Japan. Renault said it wasn’t building stocks in the U.K., where it sold less than 3 percent of its cars last year. A bigger source of worry is Europe’s pending stricter emission regulations, which weighed on sales and prompted carmakers to use discounts to reduce inventory. In key technologies for the future, Nissan and Renault need to cooperate more. The alliance is working with China’s Dongfeng Motor Group to locally produce an affordable electric crossover, based on a budget SUV Renault developed for India. This year, China is imposing minimum requirements for the production of new-energy vehicles, with the ultimate goal of banning gas-guzzlers altogether. Nissan’s battery-powered Leaf is the best-selling electric car, spawning a wave of competing models from traditional automakers and startups like Tesla Inc. Those rivals chipped away at the Leaf’s lead with key advancements, and Ghosn’s detention prompted Nissan to postpone the updated model’s debut in Tokyo. Also, Nissan and Renault intertwined their efforts to develop connected and autonomous vehicles, combining functions of their IT and cloud services and jointly running a venture fund to invest in startups. Waymo is in advanced talks to develop autonomous cars with Renault, Nissan and Mitsubishi, according to people familiar with the matter. A deal between the three carmakers and Alphabet Inc.’s self-driving unit could include making driverless taxis, one of the people said. Collaborating with Waymo would bring leading-edge technology to the alliance. And, just as importantly, it would strike a positive note for the beleaguered trio.